The test for Certified Continence Care Nurse certification has 90 questions in 7 areas, which must be answered in 90 minutes. 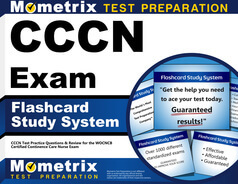 The free CCCN practice test follows that format to completely prepare you for the certification test. You need to prove your knowledge in these areas: assess principles of continence, implement management principles for urinary incontinence, assess and manage stress incontinence, assess and manage functional incontinence, assess and manage other voiding disorders, and implement management principles for bowel dysfunction. 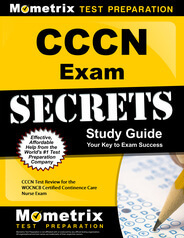 The CCCN practice test shows areas where you excel and those where you need more study. Mometrix Academy is a completely free resource provided by Mometrix Test Preparation. If you find benefit from our efforts here, check out our premium quality CCCN study guide to take your studying to the next level. 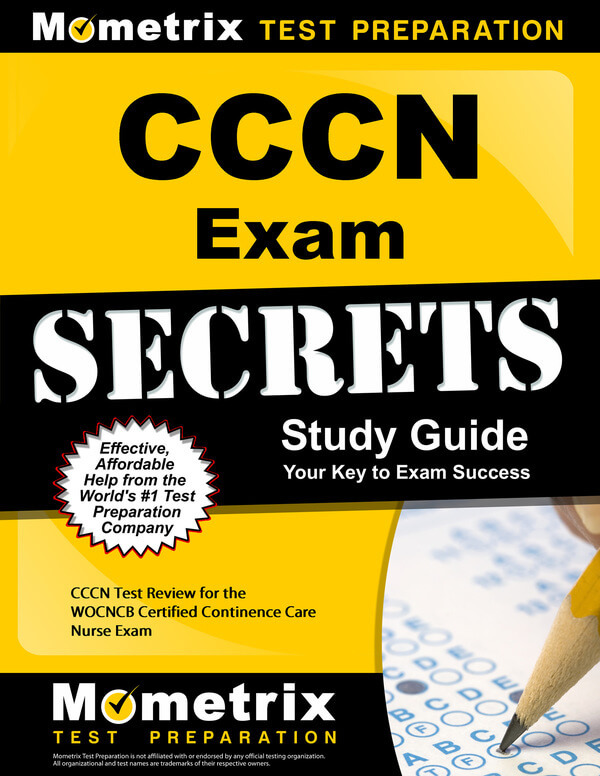 Just click the CCCN study guide link below. Your purchase also helps us make even more great, free content for test-takers.